“The 2016 Jeep Patriot from El Paso is a crossover SUV will take you much further than its competitors. For this year, Jeep has made the Patriot even more appealing and better than ever before. Macho Jeep angles are fused with civility and softness for an eye-catching vehicle. This two-row, sport-utility model can easily carry up to five passengers inside the spacious cabin. Compared to other options in the market, it also presents a cost-effective way to add a prestigious Jeep SUV to any garage. 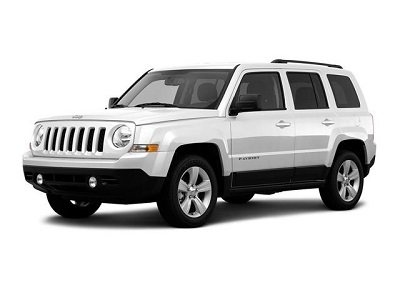 The 2016 Jeep Patriot is simply a smart choice for all manners of SUV shoppers. The renowned Jeep lineage is obvious in the 2016 Jeep Patriot from El Paso. For starters, it shows off Jeep’s classic front grille featuring distinctive round headlights and seven vertical slots. There’s also the signature boxy shape that’ll stand out on the highway or in a parking lot. Posted on March 17, 2016 by CedrickPosted in BusinessTagged 2016, dealership, jeep, paso, patriot.